Jannson Williams (3) and Ajdin Penava (11) high-five during introductions.. Williams and Penava each recorded double-figure scoring against Southern Miss. 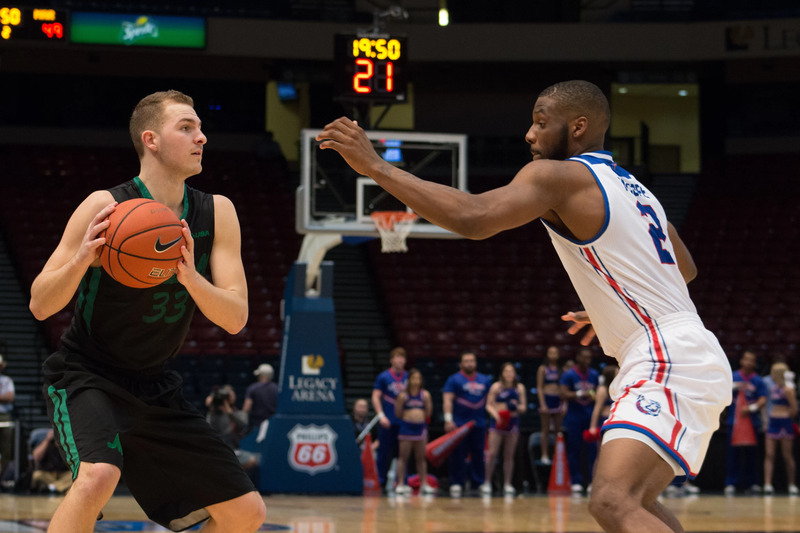 FRISCO, Texas—Junior guard Jon Elmore scored a team-high 26 points Friday afternoon as Marshall men’s basketball accomplished a decisive 85-75 semifinal win against Southern Miss at the Ford Center at The Star. 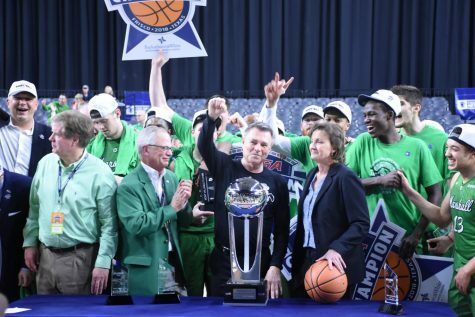 With the win, the Herd advances to its second-straight Conference USA Championship Game Saturday evening at 7:30 p.m. CST (8:30 EST) against the Hilltoppers of Western Kentucky University. Elmore shot 7-for-13 from the field, 5-for-10 from beyond the arc and 7-for-7 from the line. In addition to his 26 points, Elmore tallied nine rebounds and nine assists as he flirted with a triple-double. 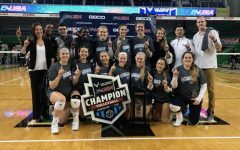 Elmore now needs five more assists to tie the Conference USA tournament record. 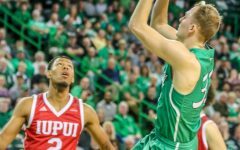 With his parents in attendance, redshirt freshman forward Jannson Williams scored 17 points—one short of tying his career-high (18 at WKU in the regular season)—and was the Herd’s second-highest scorer. Williams has scored double-figures in three-straight contests, as he had 13 points against Middle Tennessee to end the regular season, 15 in the quarterfinal against UTSA and 17 today. 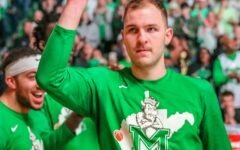 Marshall experienced rebounding troubles throughout the regular season, however, the Herd won the total rebounding battle by nine (36-27) today. 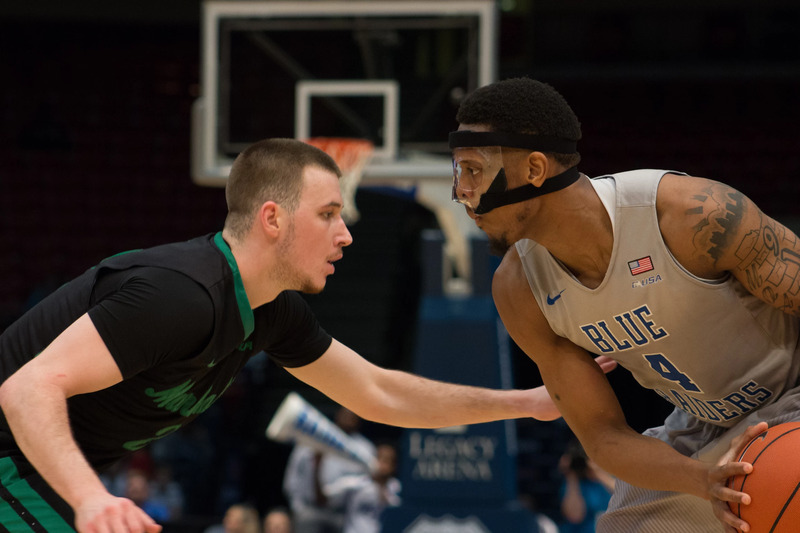 Williams talked about the key to Marshall’s rebounding success. 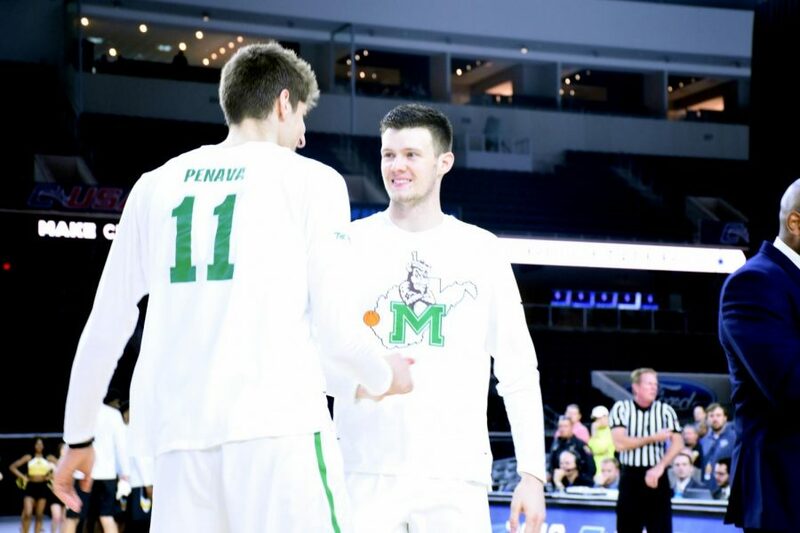 Three additional Marshall players scored double-figures. Junior guard C.J. Burks scored 13 points and, despite lower than average scoring totals, had a well-rounded stat line as he tallied six rebounds, six assists and two steals. Freshman guard Jarrod West scored 12 points and ended his streak of games without double-figure scoring at 17. Junior forward Ajdin Penava posted 12 points and blocked two shots. 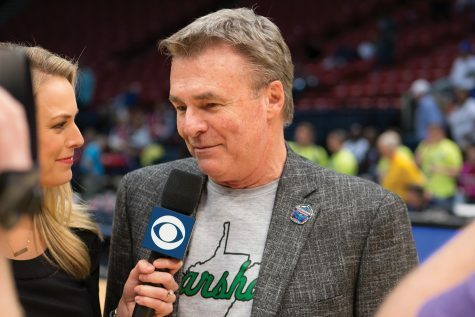 The Herd started the game hot from beyond the arc, as Marshall’s offense posted a 50 percent three-point shooting percentage (9-for-18) and a 53.1 (17-for-32) field goal shooting percentage in the first half. Comparatively, Southern Miss’s first half resulted in a 33.3 (9-for-27) field goal percentage and a 28.6 (4-for-14) three-point shooting percentage. The halftime score reflected the statistics, as the Herd took a 47-27 lead into the break. The second half reflected the fragility of a 20-point difference, as Southern Miss inched within a six-point deficit after a layup by redshirt junior guard Kevin Holland with three minutes remaining in the game. 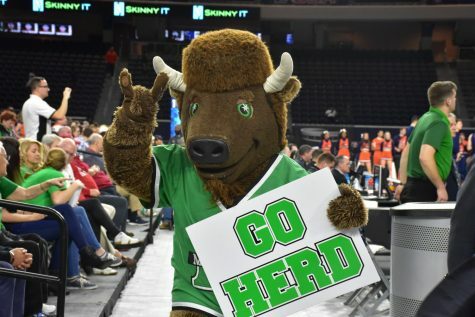 Elmore responded, though, with a three-pointer to put the Herd up by nine. From there, Southern Miss was forced to foul to slow down the clock. 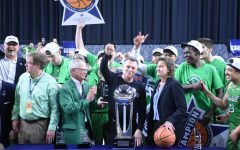 Marshall continued its stellar free-throw shooting and drained 11 free-throws in the final two minutes and 30 seconds, as the Herd staved off the Golden Eagles and won by double-digits. D’Antoni talked about adjustments and his team’s defensive performance in a post-game press conference. 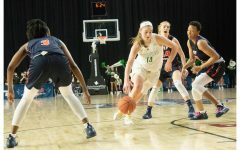 Marshall experienced two injury scares during its semifinal contest, as Williams and Penava both left the game with apparent ankle injuries. 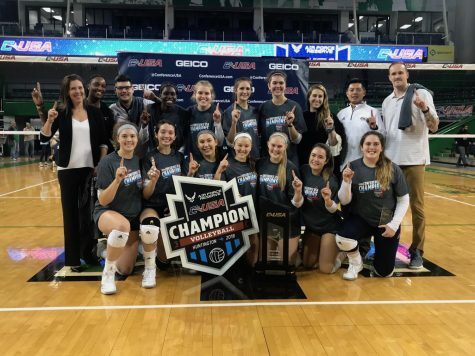 Williams would return to the game, but Penava did not. 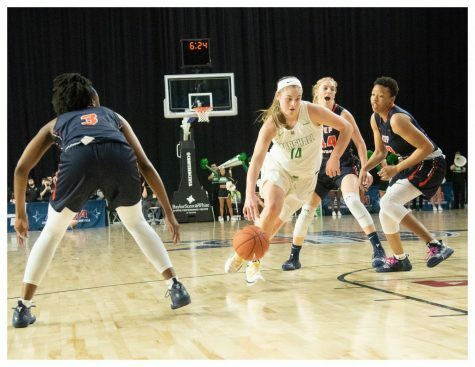 Overall, the Herd shot 26-for-51 (51 percent) from the field, 12-for-28 (42.9 percent) from beyond the arc and 21-for-25 (84 percent) from the line. 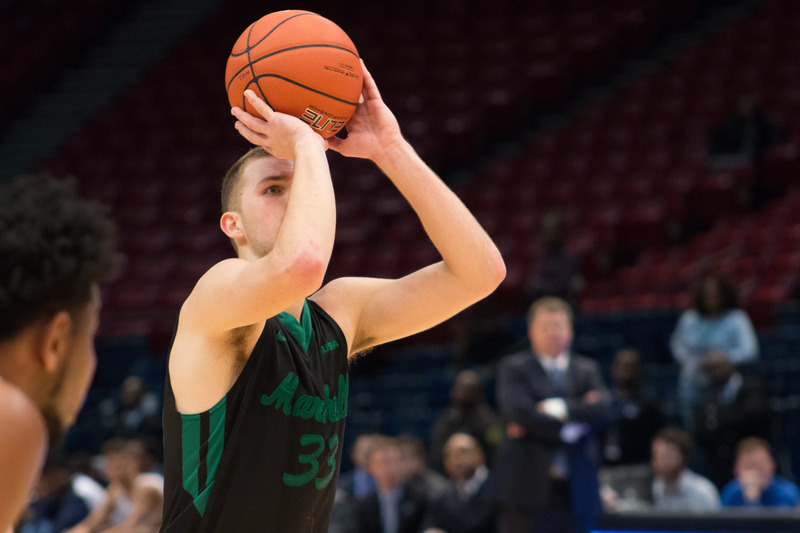 The Herd is 53-for-63 (84.1 percent) from the line through two C-USA tournament games. Marshall’s starters accounted for 80 of the Herd’s 85 total points. Marshall led for 36:09 and trailed for 1:21 and has led for 74:23 of the 80 minutes it has played in this year’s C-USA tournament.